FIFA President Sepp Blatter has told the world what they already knew years ago, that working conditions have to improve in Qatar, as preparations continue for the highly controversial 2022 World Cup, according to the BBC. Blatter had been meeting Emir Sheikh Tamim bin Hamad Al Thani to discuss the country’s attempts to improve the conditions for those working on getting Qatar ready, and while drastic changes have yet to be made, the President reported that there were some pleasing signs. “It is encouraging to hear the Emir’s personal commitment to workers’ welfare and to get a sense of the improvements planned for all workers in Qatar,” Blatter said. Incredibly, the tournament will still take place – in the winter time – despite the staggering number of deaths of migrant workers, more than 180 died in the country in 2013 alone, and there are still seven years until the competition. 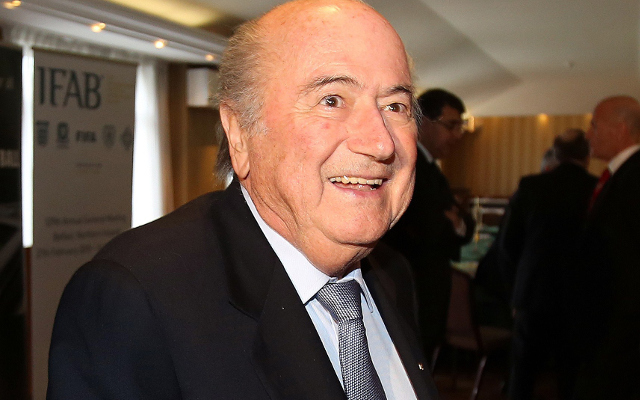 But the 79-year-old still maintains that the World Cup being in Qatar will benefit the nation. “It is clear that Qatar takes its responsibility as host seriously and sees the Fifa World Cup as a catalyst for positive social change,” he added. Last year the government agreed to reform the kafala system, which allows employers to practically control the movements of their labourers, and stop them leaving the country if they so wish. Unsurprisingly, no changes have so far been made.